Cybercriminals continued on their rampage in 2018 stealing millions of records from Department of Homeland Security and successfully hacked into name brand companies like Adidas, Twitter, Cathay Pacific, and Ticketmaster. The pace is not expected to slow in 2019. With porous on-premises infrastructure, new cloud assets, and not enough people with cybersecurity skills to detect and respond to threats, 2019 should be a lively year. 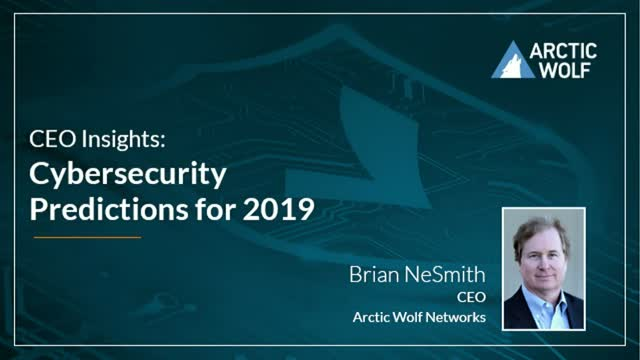 The cybersecurity experts at Arctic Wolf Networks (AWN), a leading Security Operation Center (SOC)-as-a-Service provider have seen all types of attacks that have attempted to sneak through many a company’s perimeter and endpoint defenses. Here is a preview of the top 3 predictions that is bound to surprise you. To hear from this security expert and to learn what to look for in 2019, register now.